From left to right: CRKT Elishewitz Tao Pen, Benchmade 1100-series pen, Cuma Ram, Timberline LCP, 4Sevens FS.TiPen with optional tips, Schrade tactical pen, and S&W M&P and Stylus models. 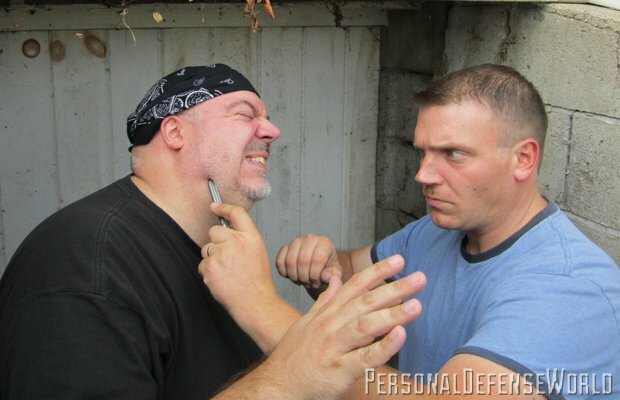 Especially when equipped with crenellated bezels, tactical pens can bite down powerfully, doing significant damage. 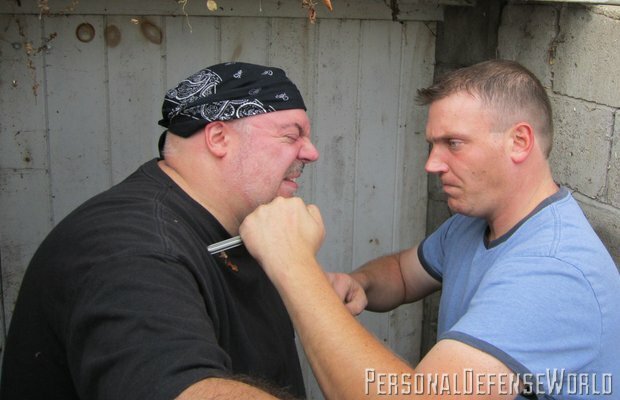 Even striking a muscle group can cause an attacker to recoil from the pain. 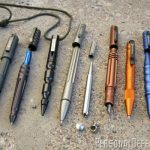 There is an old saying that goes, “The pen is mightier than the sword … except in the dark.” With the advent of the “tactical pen,” that’s no longer true. 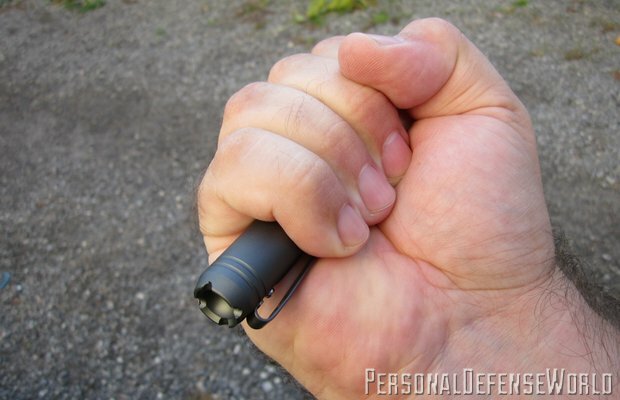 The irony is that the tactical pen exists simply because it is masquerading as something it is not. It is supposed to be a tool first and a weapon second, a politically correct force multiplier that won’t be seen as such. The problem, however, lies in the “tactical arms race” between the consumers of these tools and a society that increasingly disapproves of any personal weapon. No sooner is a new covert tool introduced than a growing public awareness of it defeats its stated purpose. 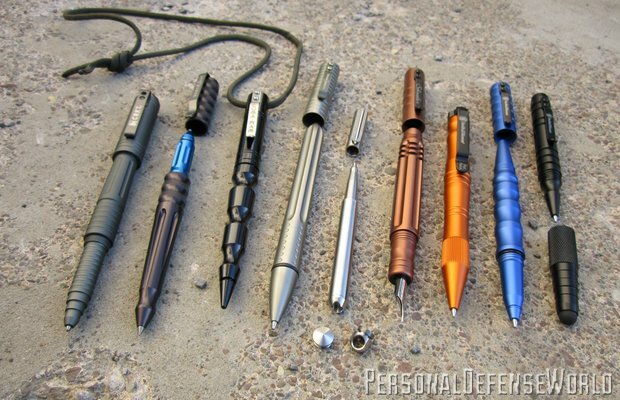 Then, too, there is the fact that most tactical pens are very obviously finely made and machined impact tools. 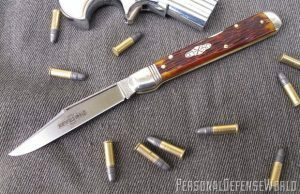 They are knurled or fluted, they are severely pointed, and often they bear the names of widely known knife and gun manufacturers. 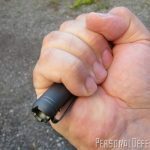 This has prompted some to dismiss the tactical pen as the armed citizen’s security blanket—a talisman that makes a mostly unarmed man feel better. In reality, there is still a place for the tactical pen. It remains legal in many areas; it is certainly, as evidenced by the available product lines, a well-made tool; and because it contains a writing implement, it has more utility than a kubotan or yawara (both names for pocket sticks). Few of us, in this age of disposable writing tools, will find a more robust pen.